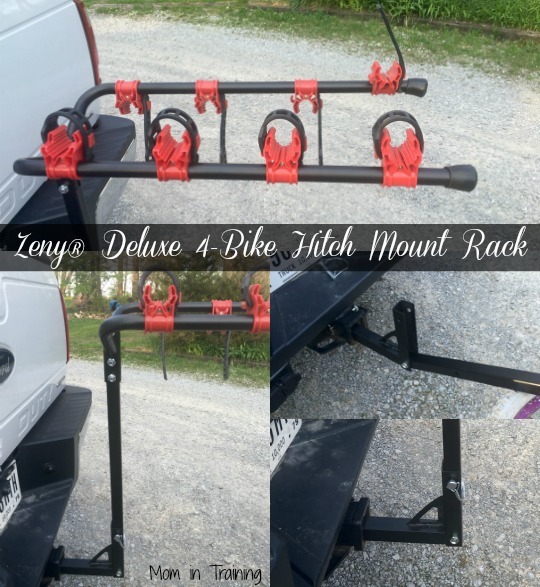 I was so excited when this Zeny® Deluxe 4-Bike Hitch Mount Rack arrived because that meant I could take the kids to the state park this summer and not struggle to get the bikes up into my husband's pick-up truck. He has an F-250 so you can imagine my troubles trying to lift the bikes in and out of it. With this new bike rack I can easily attach them to the back end of the truck (or my crossover once I get a receiver hitch) with no problems. The bike rack came with simple and easy to follow instructions that my son used to put it together inside before taking it out to install on the truck. It only took him about 10 minutes to put it all together and be ready to go. I love when instructions are so easy to follow. Once we got it outside it didn't take him to long to get it attached to the truck either. And from there we tested it out with one of my daughter's bikes. It was actually pretty easy to put the bike on the rack once I figured out how it went on. There's even a place on the main pole that a pin comes out and it allows it to pivot down making it very easy to put the bike on at a lower level. This is great for me because I don't have to lift the bike up high to put it on. Once the bike is on the arms and strapped down you just lift it back up and insert the pin to keep it upright. The rack is very sturdy and I am super excited that we will now be able to easily transport our bikes this summer! We have a series of trails in my town, but most of them are so far away that by the time you ride your bike to them you are too tired to ride on the actual trails. That's my problem, and why I am so excited about this. Now we can take the bikes to parks! Wow, Such a great article blog sharing. 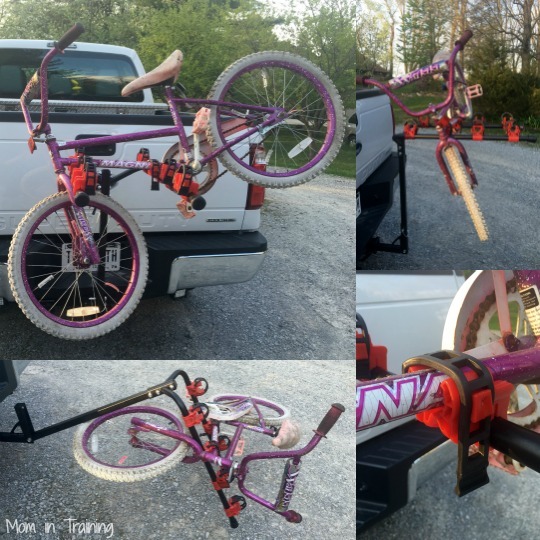 Bike rack is perfect accessories for bike gears. It is best way to carrying your bicycle. I read your article but i am little bit confused Hitch Mount Rack is best for me?